Gilbert Murray translated and made available to modern readers The Epitrepontes of Menander or The Arbitration for the first time in 1945. 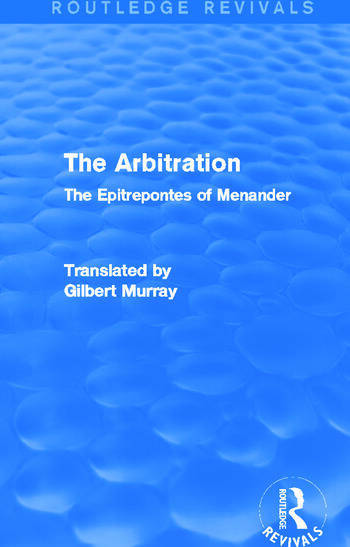 The Arbitration is among the most frequently quoted and most famous of Menander’s plays and – being less farcical than others - belongs to his mature style. With an interesting and informative introduction, this translation will be of value to any student of Classics and Ancient Greek drama.